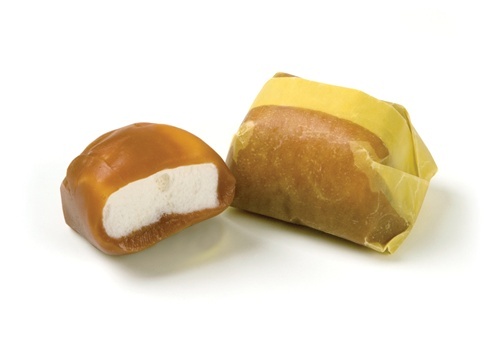 This soft marshmallow center covered in rich vanilla caramel is a nostalgic piece of candy. There is only 1 company that makes this specialty piece of candy. Each piece is wrapped in a special waxed paper to protect the soft caramel topping. We are introducing this candy to a new generation of marshmallow lovers.